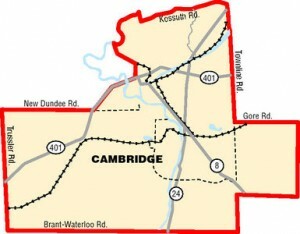 Cambridge has been represented in the Canadian House of Commons since 1979 and elects one member to the Legislative Assembly of Ontario since 1975. 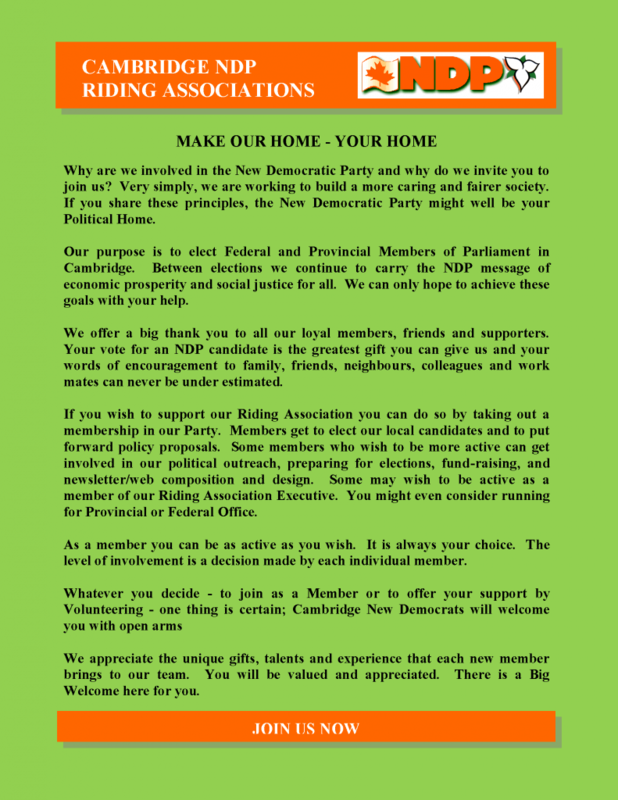 The Cambridge New Democratic Party Riding Associations are affiliated with the New Democratic Party of Canada and the New Democratic Party of Ontario. Our purpose is to organize for electoral, political and educational purposes and to nominate candidates for electoral office. The riding association also recruits new members and carries out administrative work required by the party, Elections Ontario and Elections Canada. Each year, at the riding association’s annual general meeting, members have an opportunity to review the previous year’s work, strategize for the year to follow, and run for executive positions. The riding association executive meets monthly throughout the year and includes a number of positions. Members of the executive help coordinate the riding association’s outreach, communications and policy committees. Through these committees, the riding association stays involved in our local community through a variety of events and activities.